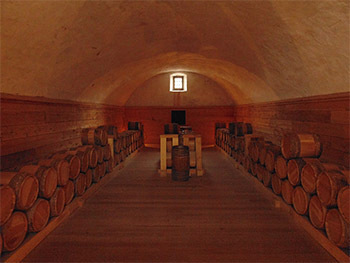 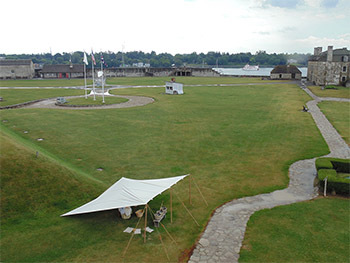 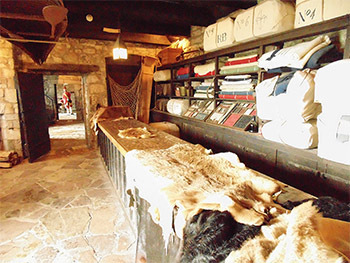 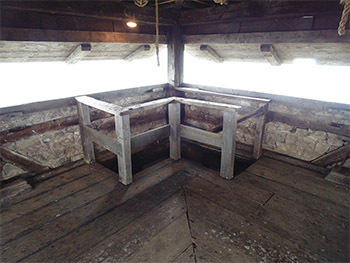 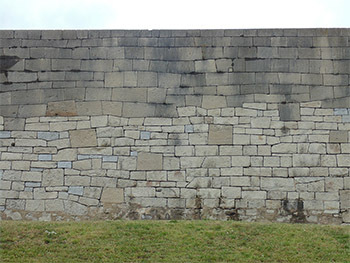 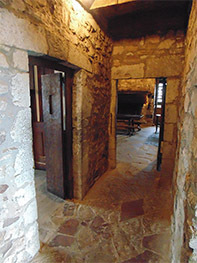 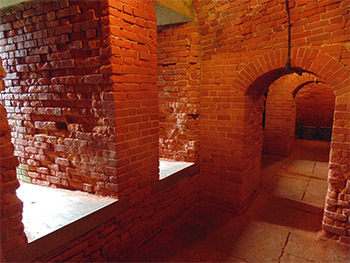 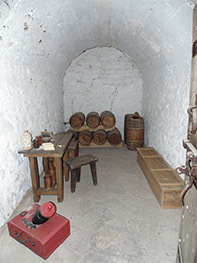 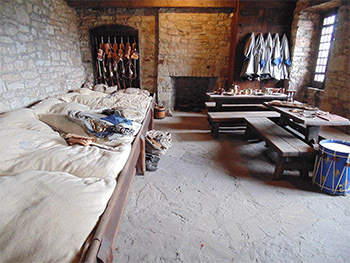 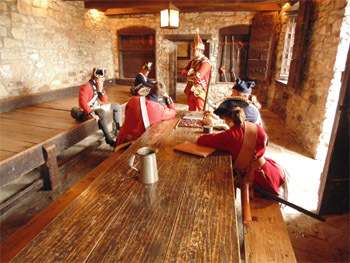 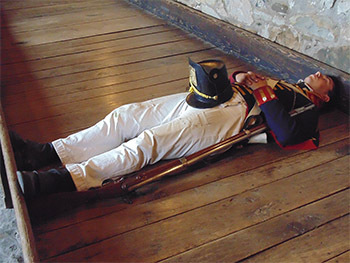 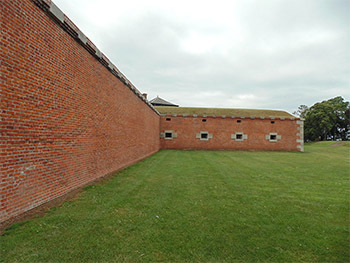 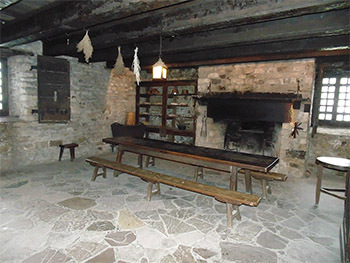 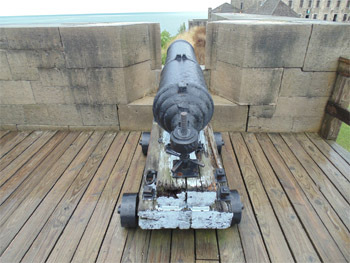 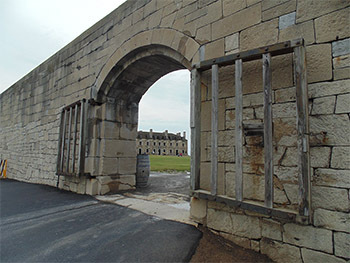 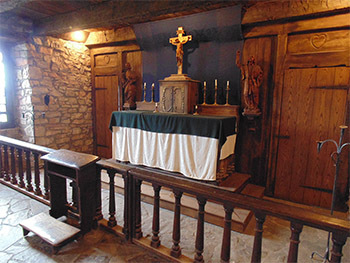 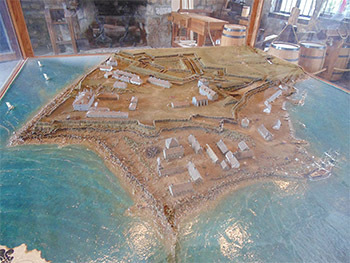 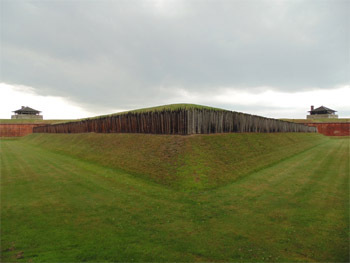 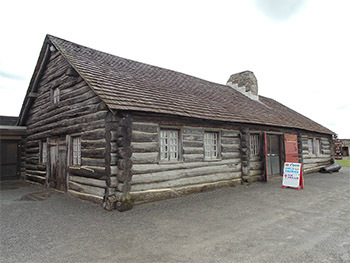 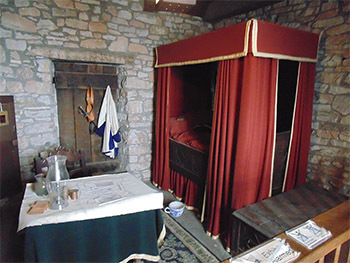 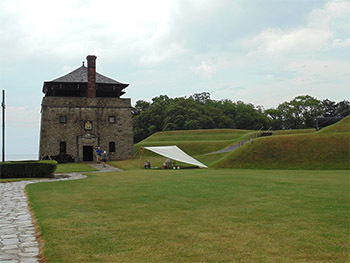 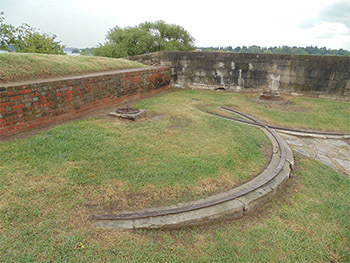 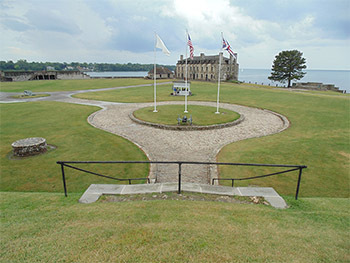 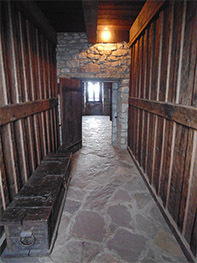 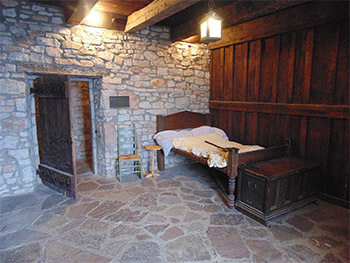 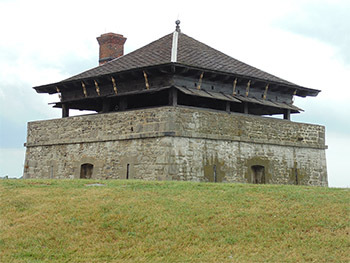 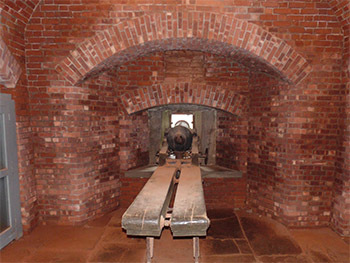 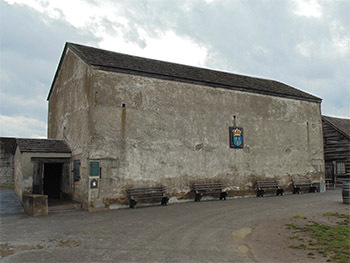 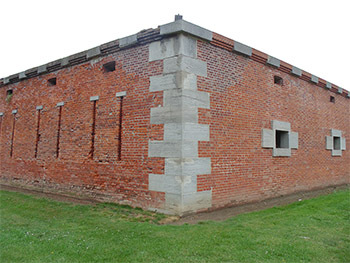 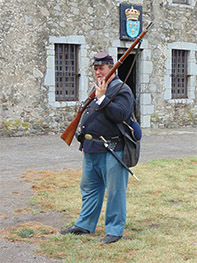 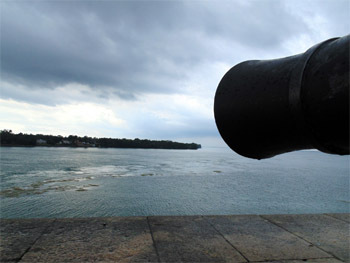 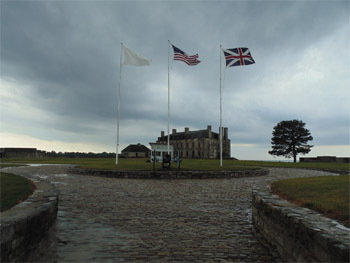 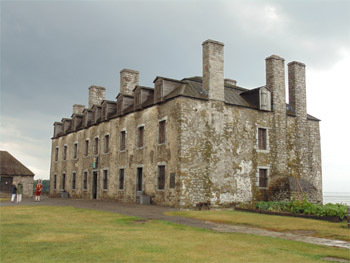 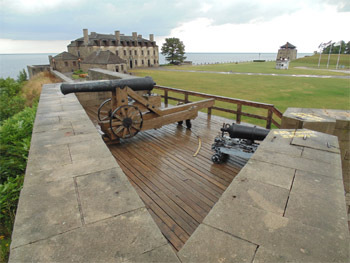 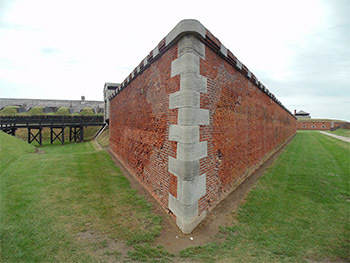 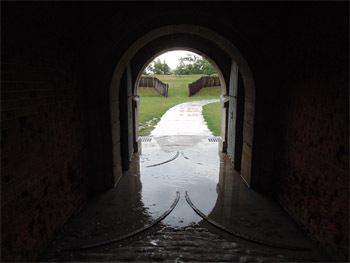 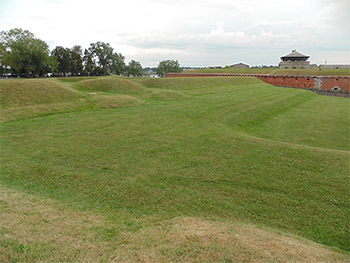 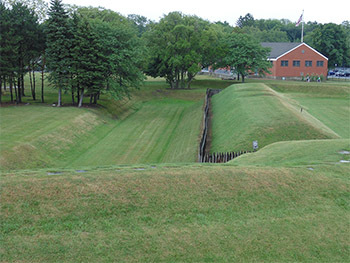 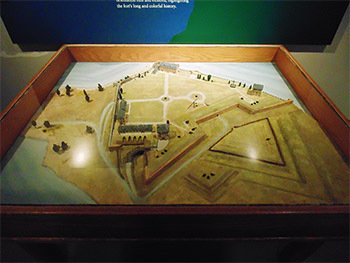 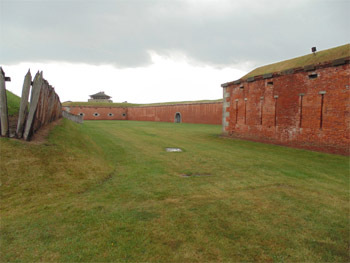 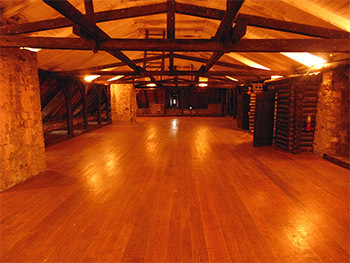 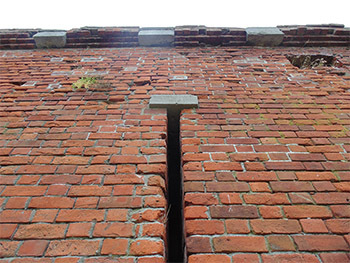 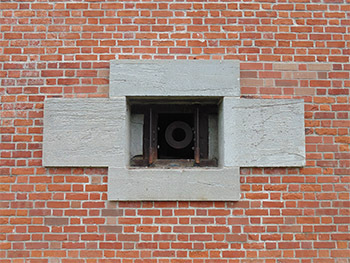 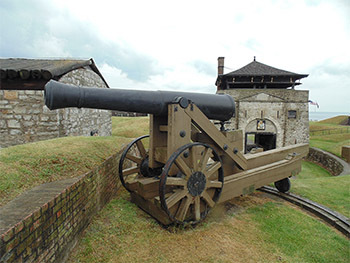 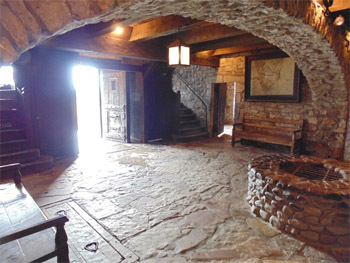 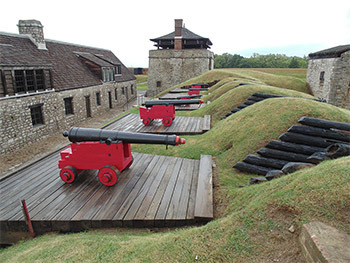 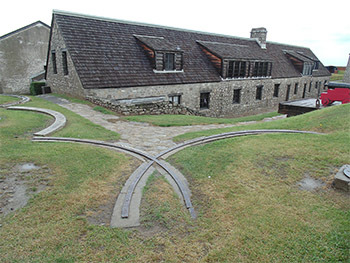 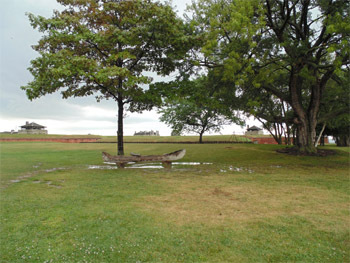 Visit the Starforts.com Fort Niagara page here! 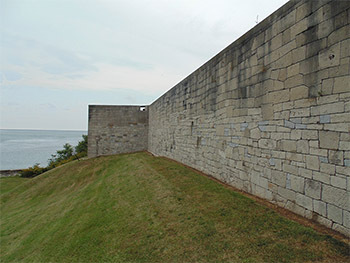 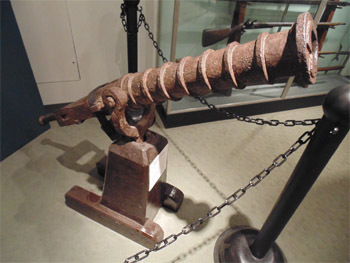 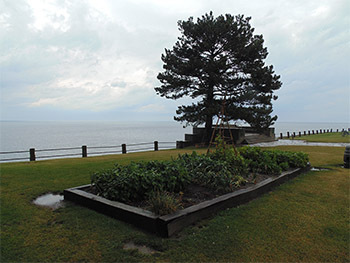 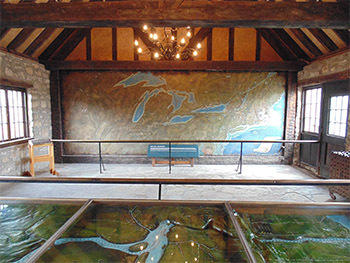 From the first moment French trappers arrived in the 1670's until Lake Ontario was effectively demilitarized after the War of 1812, the mouth of the Niagara River was a frightfully important place. 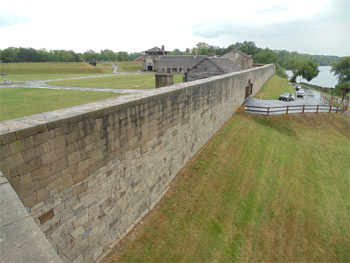 He who commanded that mouth controlled that river, which was a busy highway of trade and military travel. 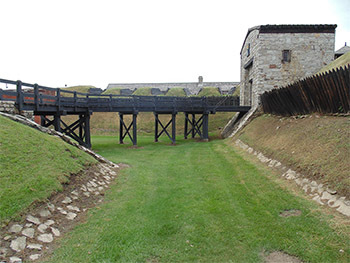 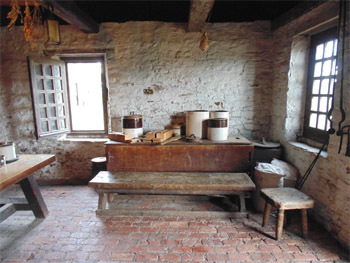 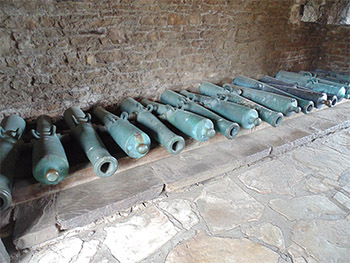 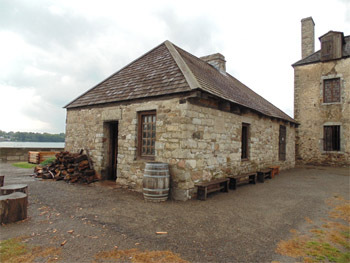 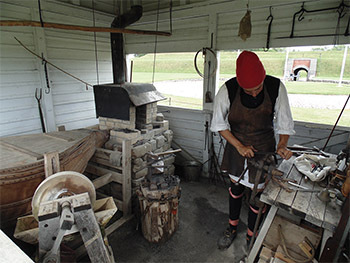 As such, Fort Niagara is fraught with history, and it is presented extremely well today. 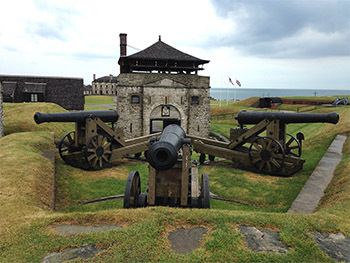 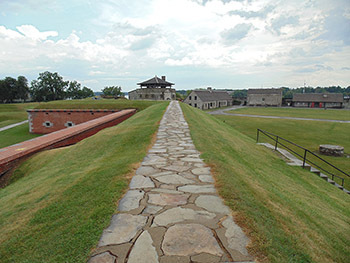 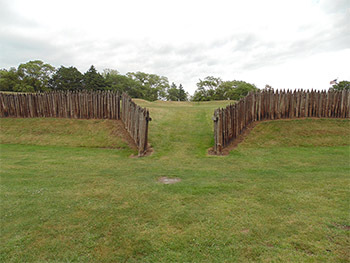 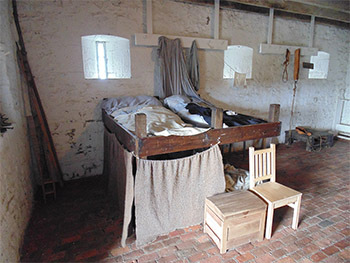 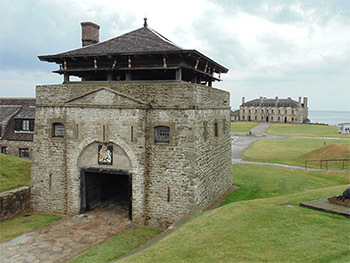 Most of the starforts I have visited have been made over for the educational benefit of visitors, though few with the loving attention to detail as has made Fort Niagara a truly worthy representation of American history. 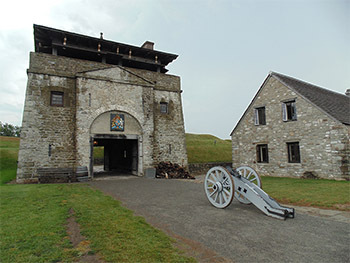 Beginning in the 1930's, the Old Fort Niagara Association worked to refurbish "Old" Fort Niagara (so appended due to the addition of a 20th century military base at Fort Niagara), and the end result is as fine an 'istorical starfort as I've seen to date...Fort McHenry in Baltimore may be its equal in terms of overall presentation, but Fort McHenry is tiny, while Fort Niagara is huge!! 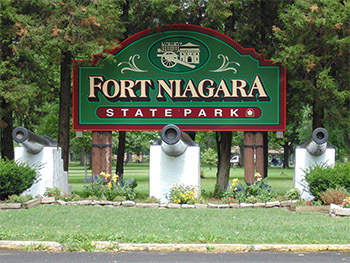 I also can't say enough nice things about Fort Niagara's Visitor's Center, other than the fact that it consists of a very nice museum and an equally nice gift shop, which frequent Starforts.com visitors will know I value highly in a starfort experience. 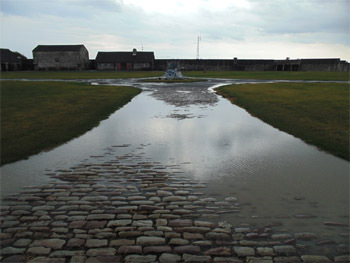 I could have chosen a worse day to visit Fort Niagara. 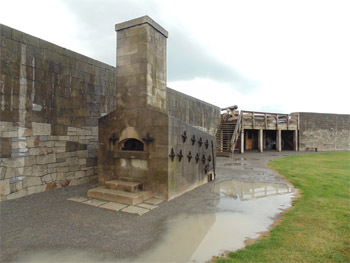 It could have been snowing briskly, or fire could have been falling from the sky. 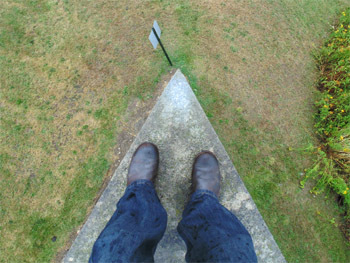 As it was, all I had to deal with were several passing rain showers, which at least kept just about everyone else away while I was there! 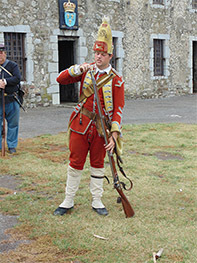 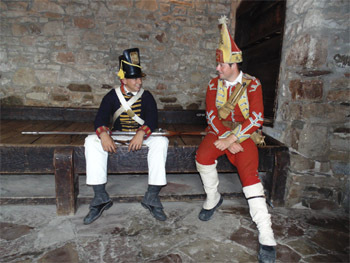 Many uniformed re-enactors prowled the fort's grounds in a convincing manner, and were more than happy to pose heroically for pictures when asked. 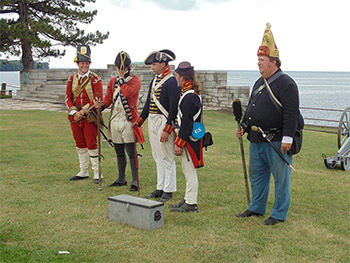 As the sky cleared up more visitors arrived, and we were treated to a multi-era musket firing presentation, as well as the firing of a cannon o'er the ever-present Lake Ontario. 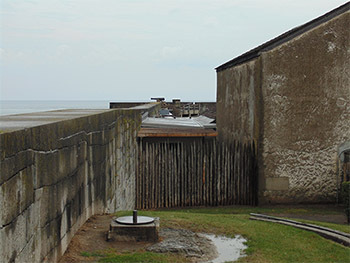 I am more accustomed to visiting starforts during the off-season, when I don't have to share my experience with others...but the benefit of visiting during the summer are the plentiful re-enactors and firing demonstrations, which in this case certainly balanced things out for me nicely. 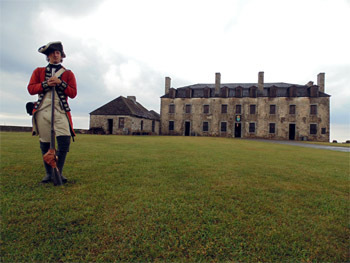 Admission to Fort Niagara was $12, and I could not have possibly asked for a more pleasing starforting experience. 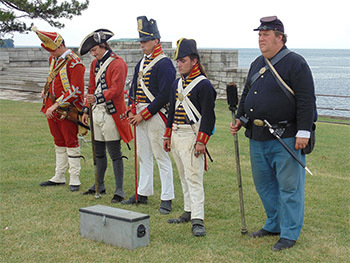 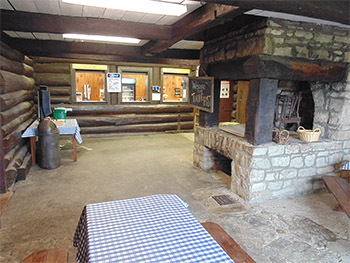 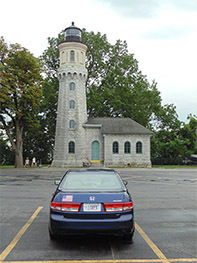 Well done, Old Fort Niagara Association! 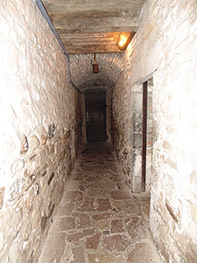 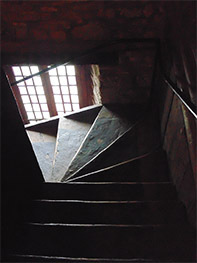 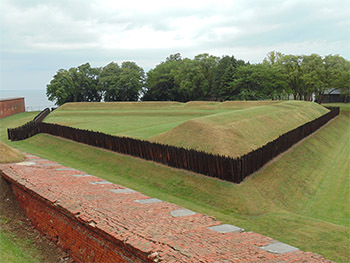 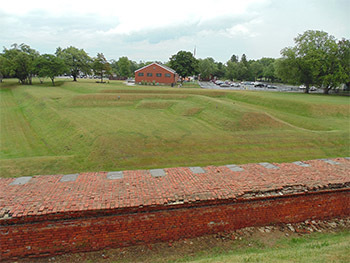 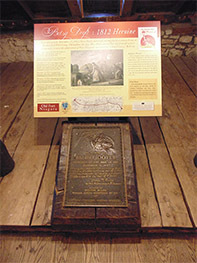 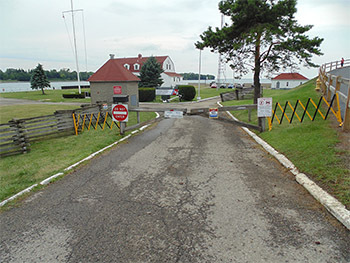 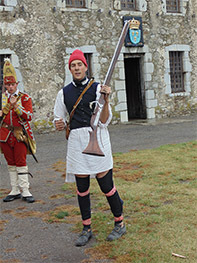 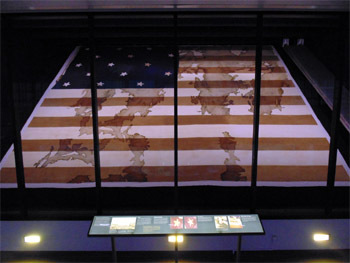 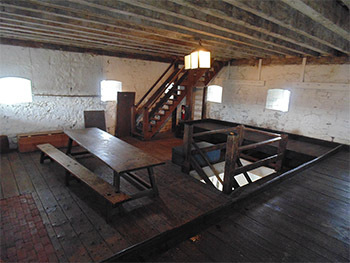 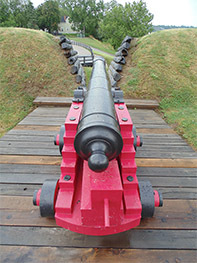 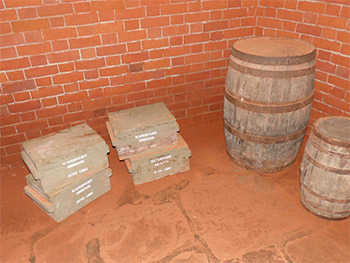 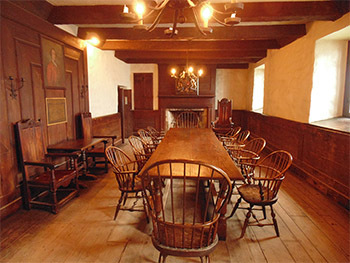 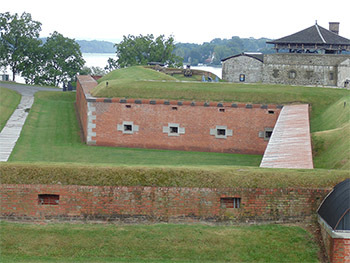 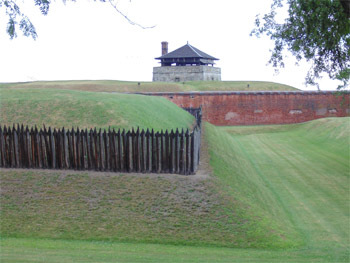 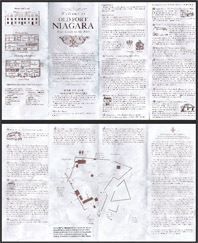 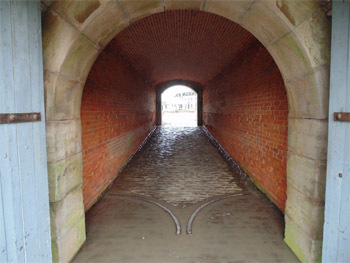 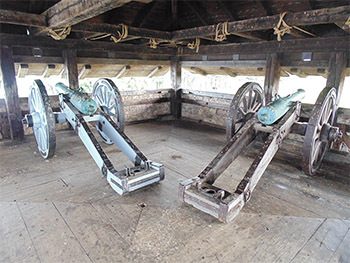 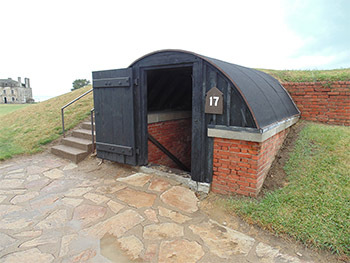 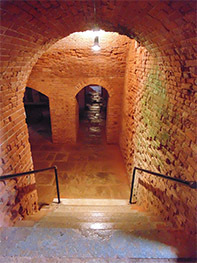 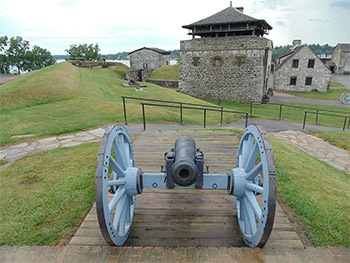 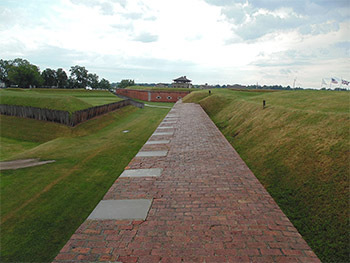 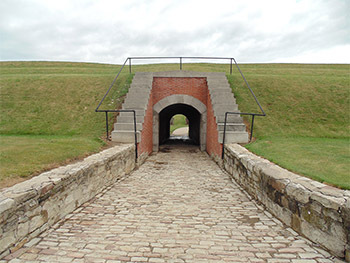 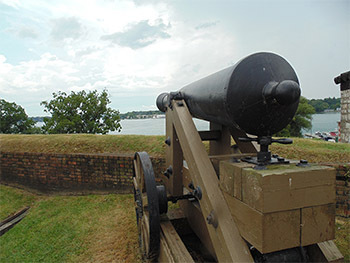 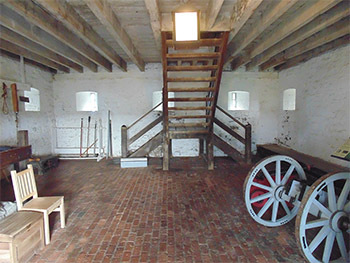 Click on the image to the right for a copy of the guide pamphlet that one is issued upon paying for admission to the fort, presented here in the popular PDF format. 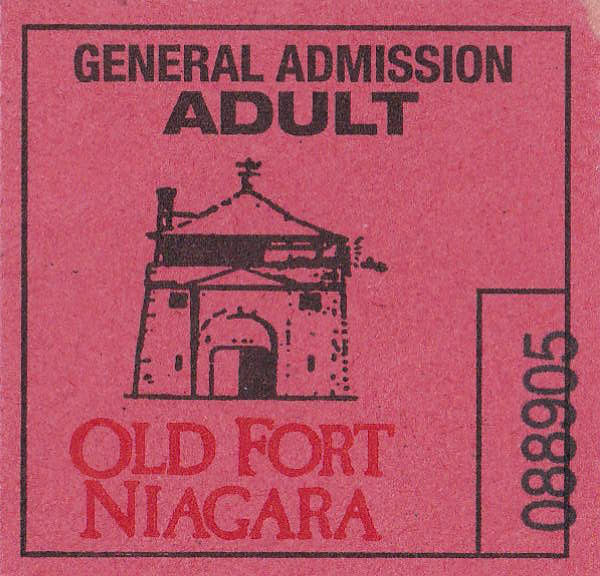 This version is complete with realistic crumples and stained creases, almost as though it traveled through the fort with me, in my pocket! 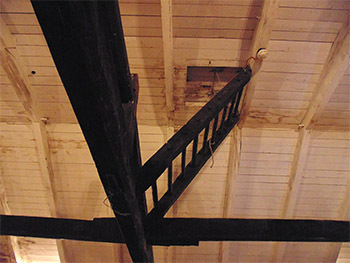 On the off chance that anyone looking at this page might not understand the concept of the link, here's how it works: Were you to click on any of the images on this page, you would be instantly taken to that image's full-sized version, along with more of my inane musings regarding that image. 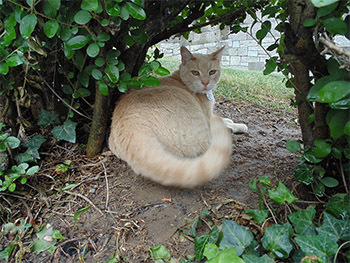 Of course you don't have to enjoy this page in that fashion. 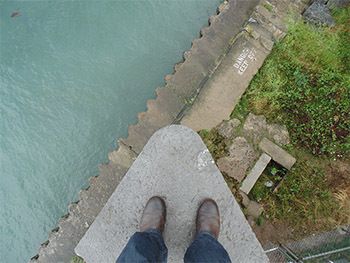 You could just sit there and squint at all the thumbnails. 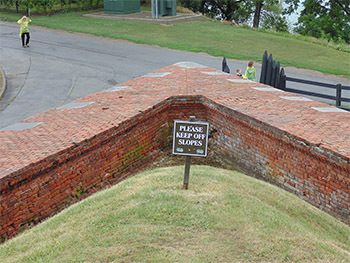 No law against that.